Do you have a vehicle that has been taken off the road because it is unsafe? Is there a rusty eyesore in your yard? 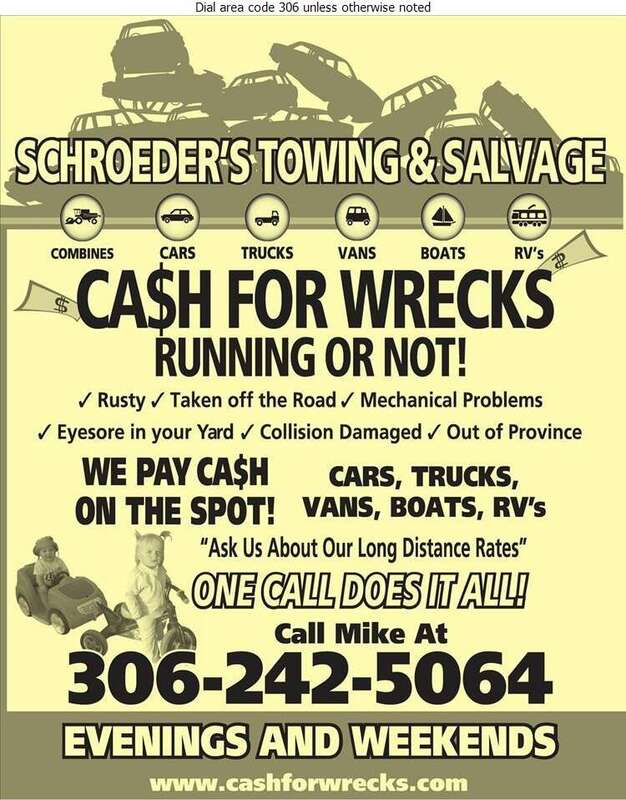 How about mechanical problems or collision damage that is beyond repair? In town or out of province; no problem! One call does it all! 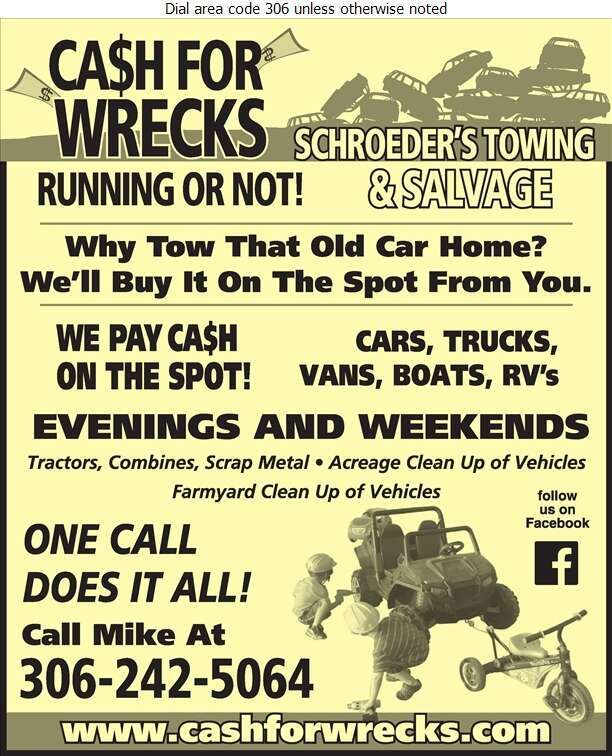 At Schroeder's Towing and Salvage we will tow your unwanted vehicle away - running or not - and pay you cash on the spot. 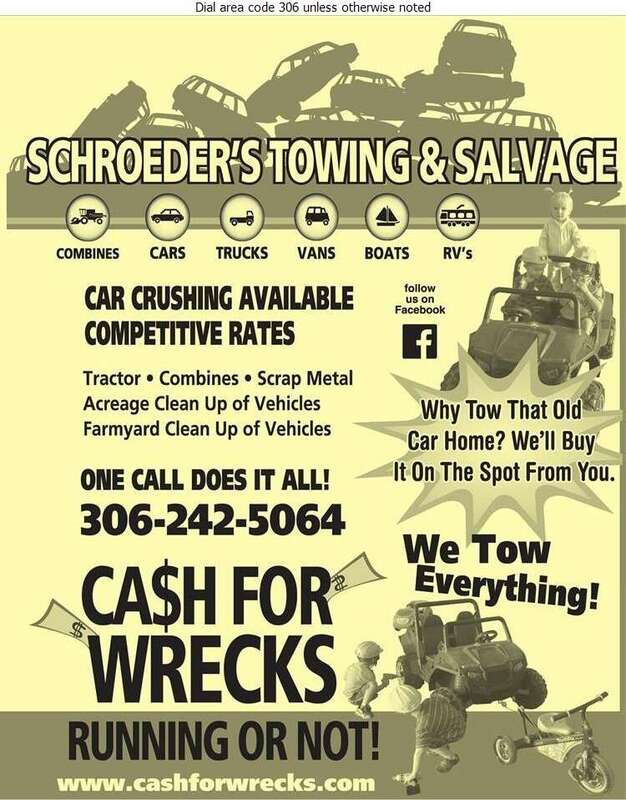 We tow everything from cars to trucks and boats to RVs. 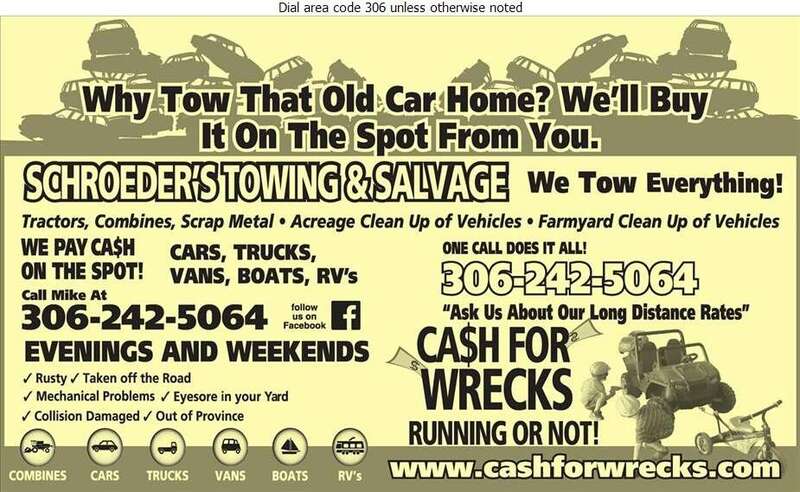 Do you have an acreage or farmyard full of old vehicles that are just taking up unwanted space? How about old tractors or combines? We will come out and offer clean up service to remove all your unwanted scrap metal. Car crushing is available and competitive rates are offered. Days, evenings or weekends; one call does it all!